In Vancouver, BC, the coach of the winning team tripped a 13-year-old hockey player during the post game handshake. The tripping incident followed the UBC Hornets 5-4 defeat of the Richmond Steel. Unfortunately for the coach, the player, who fell, broke his wrist and a parent of a Steel player caught the incident on video. The coach, Martin Tremblay, who was arrested in Vancouver, claimed the tripping was an accident. He was arrested and charged with assault. Investigators are now reviewing witness statements and video of the incident. Accounts also mention that following the incident, the coach gave fans appalled by the tripping the middle finger. Other accounts mentioned that Hornet players acted inappropriately too. Allegedly one Hornet player was caught on camera throwing a water bottle at fans in the bleachers while his teammates taunted fans with rude gestures. 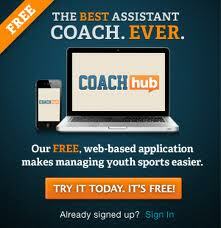 This may be the most horrible coach in youth sports. In one isolated moment, his irrational action injured an opposing player. I would guess that in many not so isolated moments his behavior during practices and games has affected the minds of his own players. Players often mimic the coach. We need to weed out coaches like this. Video is a great way to do that. When your kid gets an injury that sidelines him or her, do you look at the big picture? 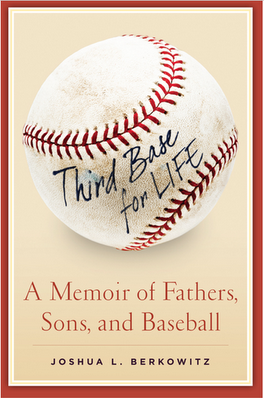 Do you talk toughness - playing through pain like Ripken and Gehrig? Or do you take a more cautious approach? When your kid is sidelined, does he or she understand the big picture? On June 17th, my son hit a long line drive to right centerfield. (My wife captured the at-bat on her camera below). I watched the hard hit ball with delight. When I heard the ping of the bat, I was thinking double or triple easy. The fast centerfielder got a great jump on the ball, tracked the ball well and at the last split second reached as high as possible while running full speed to snatched the ball out of the air. I looked toward 2B to see my son's face, but he was not there. He barely made it to first base. I caught a glimpse of him as he limped toward the dugout. He found a team mom who is a trainer to stretch him out to relieve the pain. He was hoping that he could get back in the game. He never made it back in. On June 18th, my son hit the waiting room at the orthopedic doctor and was diagnosed with a hip flexor strain. The combination of baseball and golf and growing led to the problem. He has been on the disabled list since. He missed 4 games last weekend when the team played in a big local tournament. He missed a game played at Marge Schott Stadium on the University of Cincinnati. And it looks like he will miss a big tournament in Columbus this weekend. He has been going to physical therapy, taking his anti-inflammatory drugs, heating, icing and stretching as prescribed. The doctor said that he would be out 1 to 2 weeks. 1) miss out on the Nations Baseball World Series in Florida. 2) jeopardized tryouts for the high school golf team. At dinner the other night, we asked him what the physical therapist said about the timetable to get back on the field. He said with a big smile, "Another week, but I am going to give it a try tomorrow night." We said, "Really." Still smiling, he said, "You guys are not looking at the short picture here. You are constantly looking at the big picture." My son misses baseball and golf but he sees the big picture. If he returns too early and tears the hip flexor from the bone, he will be out a long, long time. He does not want to risk the Florida trip or the tryouts. I am not as patient. I cannot wait for him to start playing again. Should refs feel sorry for teams being out played and as a result call a game differently then they normally would? We have all seen it many times before. One team is dominating another team, so the refs limit the fouls against the inferior team. At the same time, the refs call a tight game against the superior team. I believe that the refs do this to keep the score reasonable and to keep the lopsided game moving. This past weekend, my daughter's team breezed through a tournament and advanced to the finals as the number one seed . As the number one seed, we played our semi-final game from 3p to 4p against the 4th seed. We won 38-25. The 2nd and 3rd seeded teams played from 4p to 5p. The 3rd seeded team advanced. Our team beat the 3rd seeded team by 10 points during pool play. The gym was exceedingly hot when our team took the court with confidence at 5p. The other team fresh off their win looked over-heated and tired. Our team took advantage and scored immediately after the tip off. We scored 4 more baskets in the first 3 minutes of play to take a 10 - 0 lead. The head coach of the other team called timeout and berated his girls. It was embarrassing. When the game resumed, one of the best players on the other team was assessed her 3rd foul and the hot headed coach stepped on to the court and yelled at the ref who made the call. The coach was assessed a technical for walking on the court. Our point guard buried the 2 technical foul shots and our team took a commanding 12-0 lead. The neutered coach retreated to the sidelines and contained his emotions for the rest of the game. The game played on and our team continued to dominate possession. Our team was passing and cutting and beating the other team's man to man defense with ease, but layups and short jumpers were not falling. Still it was very obvious that our team was in control. At the half way point of the first half, the other team called time. We were still winning 12-0, but should have been winning 24-0. After the time out, our opponent emerged and started employing a tightly packed zone. Our team kept trying to pass and cut in the narrow lanes, but met lots of resistance and tough physical play. The refs, however, were not making any calls. After several obvious fouls were ignored, our coach called timeout and talked to the ref. The ref told our coach to relax because we were obviously going to win the game. Well, our team kept missing shots and got frustrated. Our frustration lead to fouls and the other team buried foul shot after foul shot. Our team was still dominating each possession, but soon it was a 1 point game. With 2 minutes left in the game, our team went into a slow down mode. We passed the ball back and forth. Every now and then the other team would foul us trying to make a steal. We were not even close to the bonus, so after each foul we had to throw the ball in. Sure enough while we were trying to runout the clock, one of the passes my daughter made was intercepted and lead to the winning basket with 16 seconds left on the clock. My little girl was devastated. In principle, I do not have a problem refs controlling the speed and score of lopsided games, but not in a championship game between two obviously strong teams. We lost the game because our team went completely cold. The other team won the game because they never gave up. Unfortunately, the refs played a major role in the outcome and that is just not right. My daughter, CC, is small compared to the girls that she competes against in basketball. The elbows of these much larger girls are at the eye level of CC. Regardless, she does not back down. This gives me a great sense of pride, but it also makes me a bit nervous. If you are proud for your tough daughter, yet a bit concerned about head injuries like I am, then follow the link and watch Concussion and the Female Athlete: The Untold Story. The video was created by the University of Minnesota Tucker Centre for Research on Girls and Women in Sport. Learn about concussions and make informed decisions if your daughter, or son for that matter, gets a concussion. The window of opportunity for sports is small, so parents and athletes often make irrational decisions regarding injuries. There are lots and lots of games and lot of life to live after the games are over. Take the time necessary to heal. 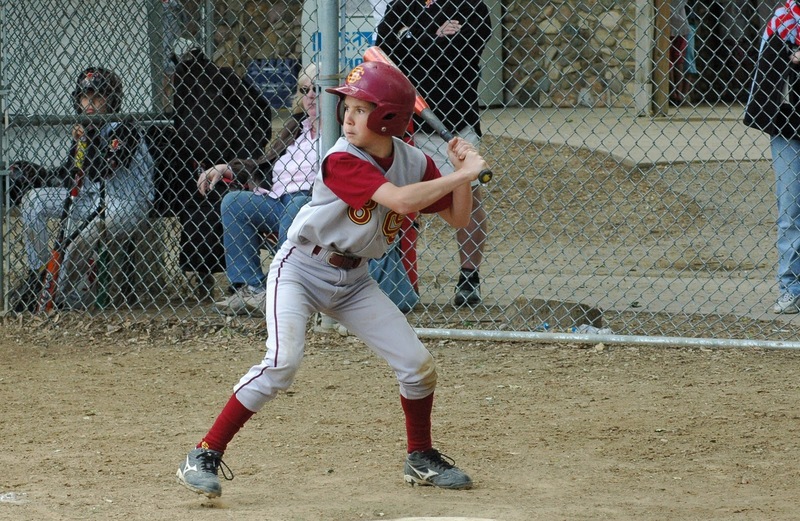 Youth Baseball and Golf: Can a kid play both successfully? Friday, a big meeting at work was canceled. Since my calendar was clear, I took a vacation day from work. My son and I played nine holes of golf in the morning and then we drove to Columbus, Ohio for game two of the Nations Baseball Ohio State Championship. Conventional wisdom says that one swing messes up the other, so players should not play both sports. My son has played both sports successfully since age 6 , so I do not believe this to be true. During a recent golf lesson, I was surprised to hear the golf pro used a few baseball metaphors to communicate to my son. That piqued my interest, so I asked the Pro if he thought playing baseball and golf at the same time is detrimental to either swing. He said, with great confidence, "Absolutely not. The set-up, load and rotational mechanics are quite similar. And, the hand eye coordination of one helps the other and vice versa." When I got home, I googled the question. I wanted to see what other experts were saying. Regarding baseball coaches wanting junior golfers to stop playing golf because it ruins their baseball swing: in my opinion and experience, that’s BUNK....The good news is their golf swing was not compromised by their batting swing, and their batting swing did not cause problems with their golf swing. I applied the exact same swing theory to swinging a bat as to swinging a golf club and it worked for both. 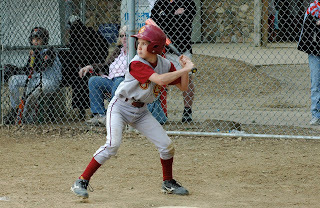 My son played a strong round of golf in the am and was 2 for 2 with 2 doubles in the baseball game that night. I think that a good athlete can do both without any trouble.